The Assessor of the county is elected every four years. This is a full time position with an annual fixed compensation of $ 49,157.00 with additional fixed compensation of $6,500 to $15,000 for duties specified in state law and supplemental pay up to 10% for additional duties relating to agriculture. 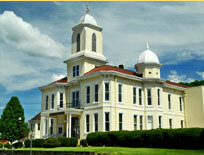 The assessor must obtain from every person within the county a full and correct description of all personal property. This is done by mailing an assessment form to all individuals and businesses. The Assessor’s Office visits all real estate at least once every three years. Market Value on property is current on all property. All land and personal property assessments must be completed no later than January 30th of each year. The Assessor will present the land and personal property books to the County Commission no later than the first day of February each year. These will serve the County Commission when sitting as a board of review and equalization. The Assessor shall attend the Board of Equalization and Review hearings and render assistance to the commission with valuations of property. No later than the third day of March each year, the Assessor will furnish the Recorders of each Municipality, Secretary of the Board of Education and the County Commission certification of the assessed values for the current year. The levying bodies will use these values to prepare their budget estimates and lay the levy. 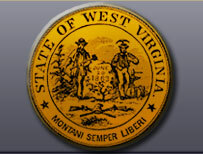 After levy rates are certified by the levying body by the WV State Auditor, they are certified by the Assessor and entered into the computer to allow the printing of tax tickets.